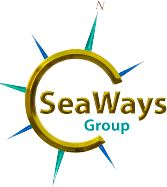 SeaWays Global (SG) is a UK company established to provide SeaWays’ raft of activities and to manage the SeaWays JV TugSim facilities throughout the world. Capt Steve Sandy, Managing Director: Africa, Asia, Europe & UK. Capt Neil Sadler, Managing Director: Americas & Middle East. Both are highly regarded professionals with an extensive track record of excellence in the towage sector as tugmasters, training masters and senior marine managers. 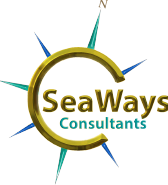 Both are based in Portsmouth UK where SeaWays Global utilises its world leading TugSim training facility based in the Transas Academy. This is a world-class training facility that provides cost effective advanced simulation tugmaster and pilot training to SeaWays’ clients and for individuals who wish to self fund their own tugmaster training. It is also the international showroom, research & development centre for Transas.